The Polish famous Worldloppet skier Andrzej Guzinski has been writing a book about his path from a „skiing nobody” to a Global Skier. An official premiere took place during the last Bieg Piastów. „Twenty steps on snow”, as it is titled, tells a story of a man – Andrzej Guzinski – who decided to try something new and to reorganize his life. He grew up with the story of a legendary Jozef Luszczek and Wojciech Fortuna (two polish skiing champions from the ’70s) but suddenly left his dreams when becoming an adult. 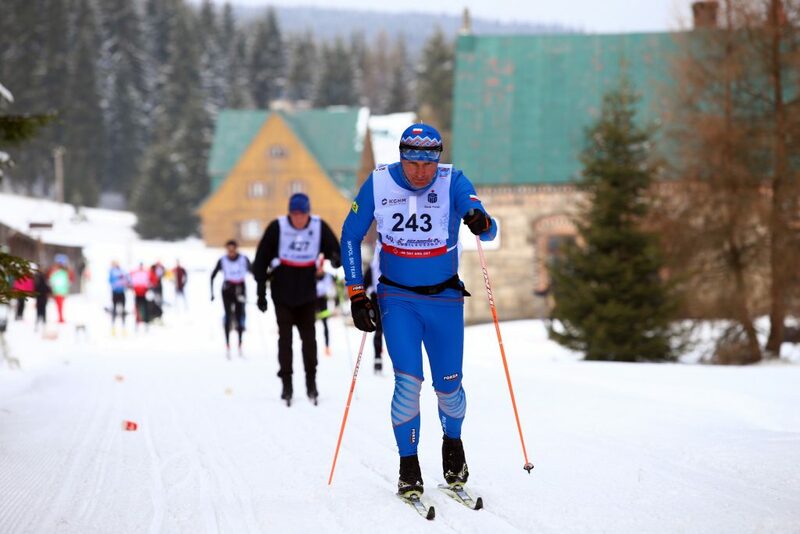 Finally in 2007 Guzinski came back to his dreams and registered to the biggest polish ski marathon Bieg Piastow. He was sure that he can stand two 50k races in a row (classic and free), but it was a terrible idea. This Andrzej from the past, who decided to do so, was not prepared even for one race that long. But two? “It was an absolute disaster! What I was thinking about my stamina? In „Twenty steps on snow” you can find a view from Andrzej’s eyes on every singe Worldloppet race: Sapporo, Ushuaia, Kangaroo and the rest. There’s a story about giving a lecture inside the Russian train, spending time in an Australian survival camp as well as facts about the „world’s best burger” in New Zealand. In this book you can find tips, how to wax your skis or… how to just learn that magic art; what is worth to take with you for the marathon race or where to sleep in Sweden’s Vasaloppet. Andrzej decided that book is absolutely free.